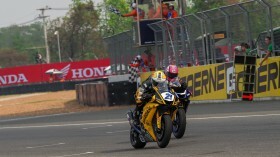 Lucas Mahias was on lap record pace right from the start of Tissot Superpole 2. 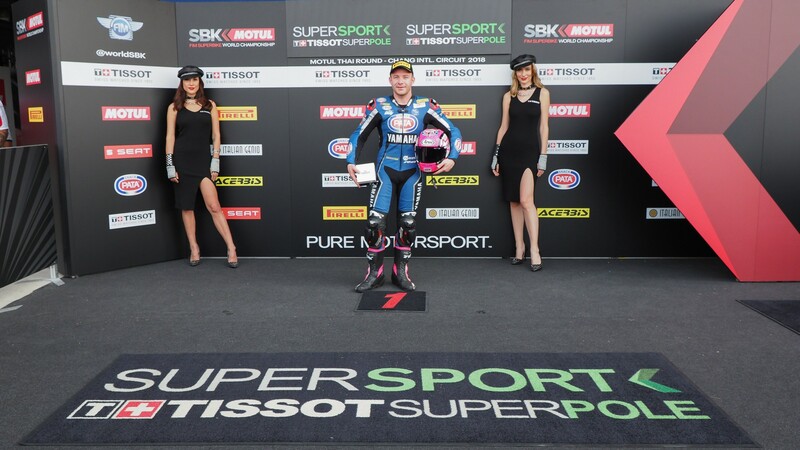 Lucas Mahias (GRT Yamaha Official WorldSSP Team) dominated Tissot Superpole 2 to continue his perfect run in the 2018 FIM World Supersport Championship, with a second pole position and now in a perfect place to chase a second race victory as well. Mahias blitzed the field by eight tenths of a second in the early stages of the session, and only in the closing minutes did any of the other riders get within half a second of his effort. Mahias´ teammate Federico Caricasulo (GRT Yamaha Official WorldSSP Team), fourth at the Yamaha Finance Australian Round, has some head-scratching to do before Sunday´s WorldSSP race as he finished almost half a second back. Meanwhile Jules Cluzel (NRT) split the GRT Yamaha duo to make it a French 1-2 up front, two tenths of a second behind pole-sitter Mahias. Randy Krummenacher (BARDAHL Evan Bros. WorldSSP Team), who appeared Mahias´ closest challenger throughout Friday practice, was surprisingly relegated to the second row of the grid in fifth. 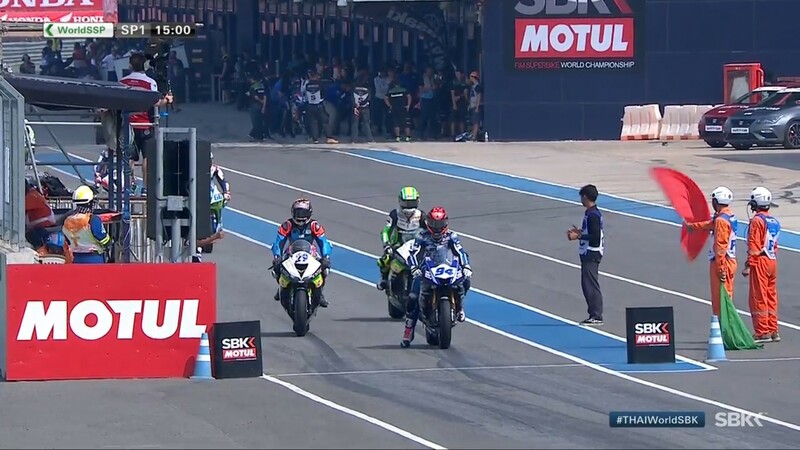 The Swiss star will start alongside fellow Yamaha Finance Australian Round podium finisher Sandro Cortese (Kallio Racing), with Anthony West (EAB antwest Racing) behind him in sixth. The Australian veteran was best-of-the-rest, with a significant gap behind the lead quintet and the remainder of the pack. 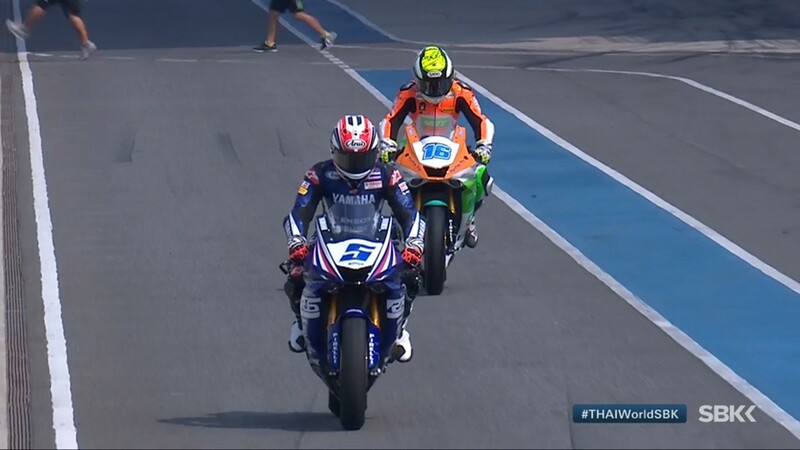 Home rider Ratthapong Wilairot (Yamaha Thailand Racing Team) leads row three after an excellent day, in which he progressed comfortably from Tissot Superpole 1 and then took seventh in Tissot Superpole 2. Fellow countryman Thitipong Warokorn (CORE Kawasaki Thailand Racing Team) has proven himself similarly matched throughout the weekend, and will share the burden of the home support at the Chang International Circuit come raceday tomorrow. Find out if anyone can challenge Lucas Mahias in race action tomorrow, live on the WorldSBK VideoPass at 14:30 local time (08:30 GMT). Krummenacher takes Thai Round after last-bend clash. 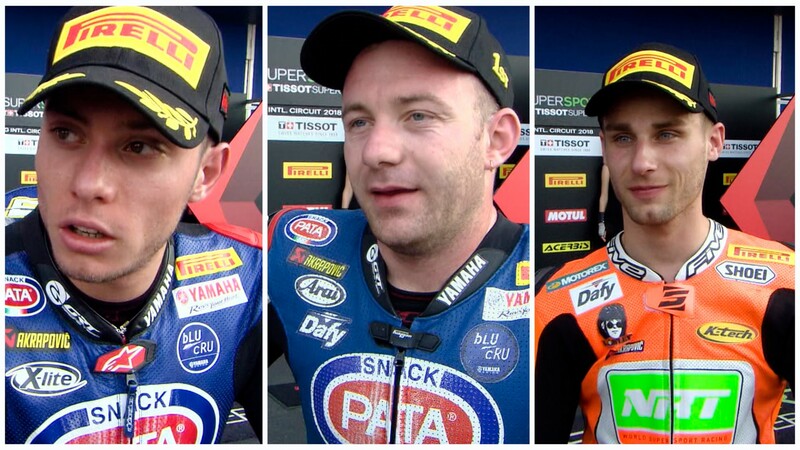 The FIM Supersport World Championship will head to Europe all level after a last-bend collision between the series leaders. Free Practice One and Free Practice Two had an identical order among the top three finishers.